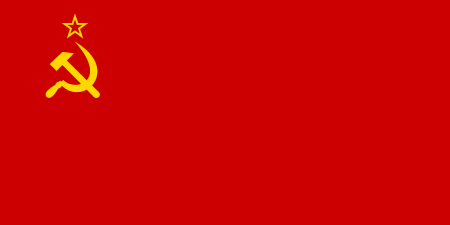 Avtotor (Russian: Автотор) is an automobile manufacturing company located in Kaliningrad Oblast, Russia. It was created in 1996, it was one of the largest producers and assemblers of cars by 2008, including brands like BMW, Chevrolet, Hummer, and Kia. In 2006, it was ranked 69th in Forbes magazine's list of the 200 largest private companies in Russia. The company's revenue for 2011 was reported to be approximately 4 billion euros and it was said, in 2016, to employ 3,500. Avtotor was founded in 1996 by a group of investors led by current principal owner and chairman of the board of directors of Vladimir Shcherbakov, former Deputy Prime Minister and Chairman of the USSR Goskomtrud. A $130,000,000 assembly plant was built, originally planning to produce Nissan automobiles. The plant was installed in an unoccupied shipyard in Kaliningrad. The company's name is a portmanteau of "auto" and the German word "tor", meaning "gate". In 1997, the new plant began assembling Kia automobiles. In the aftermath of the 1998 Russian financial crisis, the company found itself in a difficult financial position, as automobile sales dropped significantly. To mitigate the consequences of the crisis, the company secured a large contract with BMW and transitioned to contract assembly, sparing Avtotor the cost of buying components. Later, the company began a partnership with General Motors, starting full-scale assembly on the Chevrolet Lacetti. In 2012, Avtotor formed a partnership with Magna International, Canadian auto-parts company. Vladimir Shcherbakov released a statement that the Canadian government had pressured Magna International into ending the partnership. A spokesperson for Magna denied the allegations. Assembly of the BMW vehicles began in August 1999, with the BMW 5 Series (E39) and 7 Series. In the first year, 555 cars were produced. In March 2001, it began the assembly of the BMW 3 Series (E46), and later, of the new 5 Series (E60). 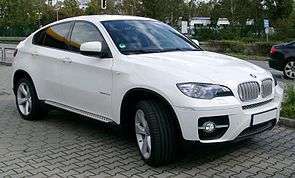 In July 2009, the capacity of the plant was increased and Avtotor began production of the crossovers BMW X5 and X6. At the end of May 2010, Avtotor announced the start of assembly on the new BMW 5 Series (F10) for the Russian market, from kits received from Germany. The BMW line-up produced in Kaliningrad has expanded over the time with the following models: E65/66 (7 Series), F01/F02 (7 Series), E90 (3 Series), E83 (X3) and E84 (X1). In May 2015, BMW released a statement postponing the decision to invest in another plant in Russia, due to economic uncertainty in the country. There have been rumors in the media about the quality of Russian made BMWs. In August 2003, Avtotor and General Motors signed a set of agreements on the organization of production of GM vehicles at the Kaliningrad plant. In August 2004, the Kaliningrad plant started production of the Chevrolet TrailBlazer and Chevrolet Tahoe, and in October 2004, of the Hummer H2. In July 2005, they were joined by the Cadillac CTS, SRX and STS. On 21 November 2008, started of the production of the Chevrolet Lacetti in full cycle, including welding and painting. This investment in the organization of the production on the part of GM in Avtotor amounted to 80 million euros. The other models produced at the Kaliningrad plant include the Cadillac Escalade, the Chevrolet Aveo, Epica, Malibu, Orlando and Captiva, and the Opel Astra, Zafira, Meriva, Insignia, Mokka and Antara. Since the existence of the project, Avtotor produced over 362,107 cars for GM's brands. In September 2012, the company began production of the commercial vehicle Hyundai HD-78, with a capacity up to 3.5 tonnes, and in 2013, of the trucks Hyundai HD-170 and HD-120. In March 2013, the company started assembly of the Hyundai i40 sedan and estate, and in July 2013, of the brand's flagship, the Hyundai Equus. In October 2015, the Hyundai Elantra was added to the line-up. In 1996, Avtotor signed a general agreement with Kia that led to the construction of the plant and the assembly for the Russian market of their cars. Construction began on 15 January 1997 and already on 17 May 1997, the plant launched the assembly line of the Kia models. During the project, the production lines of the plant produced more than 240,000 vehicles of this brand. Among the models produced at the Avtotor plant there are the Clarus, Rocsta, Avella, Besta, Pregio, Carnival I, Carnival II, Rio I, Rio II, Opirus I, Opirus II, Magentis I, Magentis II, Carens I, Carens II, Sportage I, Sportage II, Sportage III, Ceed, Soul and Mohave. In February 2016, Avtotor started production on the Kia Optima at the Autotor plant. In June 2005, "Autotor-Trucks", part of a group of companies Autotor, began to collaborate with NAVECO, which is part of the Nanjing Automobile Corporation. Lineup Yuejin - this is a broad range of low-bed delivery truck with a payload of 0.8 tonnes to 24 tonnes. On August 10, 2006 the first batch of trucks was completed, all of which produced machines have been successfully implemented. In 2007, "Autotor-Trucks" produced and sold through his agent, "Autotor Vans' 1940 units of commercial vehicles. In 2007, "Autotor-Trucks", like the rest of the group Autotor received a certificate of conformity of quality management standards ISO 9002. To date, continues to manufacture chassis and flatbed brand Yuejin, models NJ 1020, NJ 1041, NJ 1080. Currently, work is underway to expand the lineup due to vehicles with larger capacity. "Autotor-Trucks" and its distributor "Autotor Commercial Vehicles" offers its customers a wide range of additional services for vehicles with special equipment add-ons, such as - Vans (manufactured goods, isothermal) loading platforms with various manipulators, hauler, and other add-ons. Chery car assembly in the Kaliningrad factory began in 2006. Chery car sales began in Russia in May 2006. In 2006, it sold about 13,000 units (of which Amulet - 8,581, QQ - 1,959, Tiggo - 1,223, Oriental Son - 32 and Fora - 257). About 80% of cars sold in Russia were collected. In the first six months of 2007 were sold 18,558 vehicles (of which Amulet - 10,119, Tiggo - 4,986, Fora - 2,596, QQ - 825, Oriental Son - 32), allowing Chery to take 12th place in the overall ranking in terms of sales in Russia. In 2007, in Russia it sold 37,120 Chery cars. The factory produced that year 40,000 Chery cars, from semi-knocked-down kits. In March 2008, Avtotor stopped the Chery car assembly. As the main cause of the failure was the fear that the government would deprive the factory of its privileges enjoyed under the Special Economic Zone, such as duty-free import of components. ↑ "Avtotor Holding LLC: Private Company Information - Businessweek". Businessweek.com. Retrieved 2016-03-27. 1 2 "Partners in production in Russia - Automotive Manufacturing Solutions". Automotive Manufacturing Solutions. Retrieved 2016-03-27. ↑ "Kia Starts Kaliningrad Conversion | News". The Moscow Times. Retrieved 2016-03-27. ↑ Marson, James. "Magna, Avtotor Team Up for Auto Complex in Russia". Wall Street Journal. ISSN 0099-9660. Retrieved 2016-03-27. ↑ Alex, Doug; er. "CEO Says Canada Hasn't Asked Magna to End Avtotor Ties". Bloomberg.com. Retrieved 2016-03-27. ↑ "BMW to Invest $500 Million to Double Russian Production Capacity". wardsauto.com. Retrieved 2016-03-27. ↑ "BMW postpones Russia assembly plant decision". Automotive News. Retrieved 2016-03-27. ↑ "Russian BMW not BMW?". bashny.net. Retrieved 2016-03-27. ↑ "Start Of Assembly Of HUMMER H2 At Avtotor In Russia". www.theautochannel.com. Retrieved 2016-03-27. 1 2 "GM Car Assembly Begins In Kaliningrad". RadioFreeEurope/RadioLiberty. 2009-10-26. Retrieved 2016-03-27. ↑ ""Avtotor" began the assembly of new generation of KIA Optima". eng.autostat.ru. Retrieved 2016-03-27. ↑ "Russia: Chery launches locally assembled vehicles - Automotive World". www.automotiveworld.com. Retrieved 2016-03-27. ↑ Sputnik. "What the Russian papers say". sputniknews.com. Retrieved 2016-03-27.